Preferential room rates have been negotiated for attendees of this event. The exhibition is being held at Excel Conference Centre as usual. Accommodation in the immediate area is allocated to exhibitors with any spare rooms at a premium price. 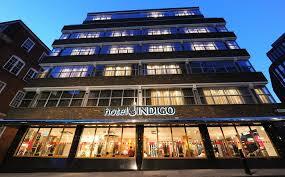 We have held a small number of bedrooms at four hotels which are easily accessible to the Excel Centre. RATES AT ALL THREE HOTELS ARE PER ROOM PER NIGHT. This hotel has some of the best views in London. Almost within touching distance of Tower Bridge and The Tower of London you can walk up to St Katherine’s Dock area just behind the hotel with lots of bars and restaurants on the waters edge. It is only an 8 minute walk to Tower Gateway Station where you can catch the DLR to the Excel Conference Centre (9 stops). Double B&B for single occupancy rate @ £250.00 inc. VAT. These rooms are fully chargeable once booked. 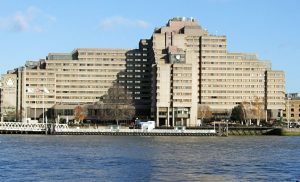 This 5 star hotel is also near Tower Bridge, The Tower of London and St. Katherine’s Dock where there are lots of bars and restaurants along the waters edge. It is only a 4 minute walk to Tower Gateway Station where you can catch the DLR to the Excel Conference Centre (9 stops). Superior Double B&B for single occupancy @ £250.80 inc. VAT. These rooms are fully chargeable once booked. 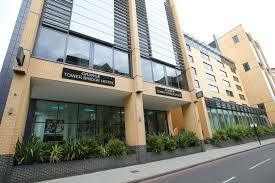 It is only a 5 minute walk to Tower Gateway Station where you can catch the DLR to the Excel Conference Centre (9 stops). Double for single occupancy room only @ £289.00 inc. VAT. These rooms can be cancelled up until 4pm on Monday 11th September. Only a limited number of rooms are available at these prices at each hotel. There are no guarantee of prices or availability once this allocation has been filled. These accommodation rates apply only for reservations made through Events & Venues. By completing this reservation, you are agreeing to accept the full charge in the case of cancellation. All hotel charges including extras are to be settled prior to departure.